Ever since Darth Vader was unleashed in the opening of Star Wars: A New Hope, he has been the villain that all others are compared to within the Star Wars universe. As Anakin Skywalker he helped bring down the Jedi Order, and as Darth Vader he aided the rise of the Empire. Once the new order is established, he enforces the Emperor’s will with an iron fist. Even in death, Vader’s shadow looms over the fate of the galaxy. 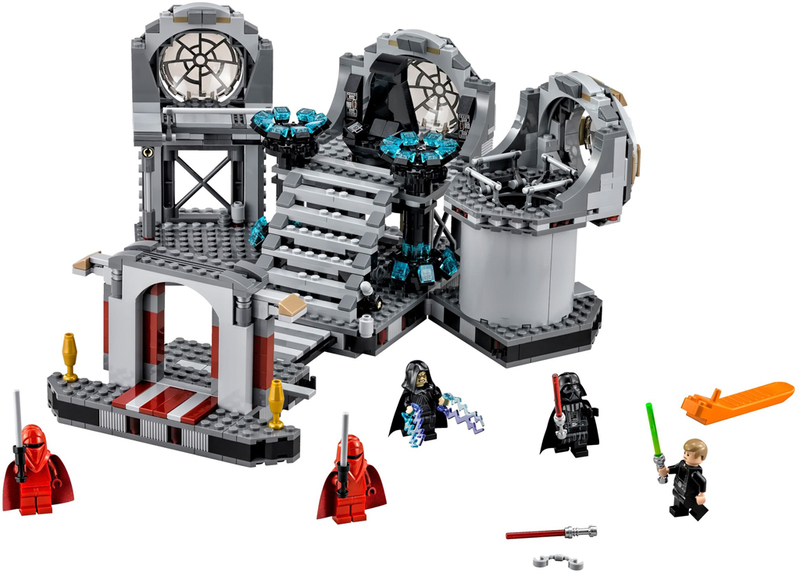 It comes as no surprise that Lord Vader has his fair share of LEGO sets, with the latest – 75251 Darth Vader’s Castle – available now. 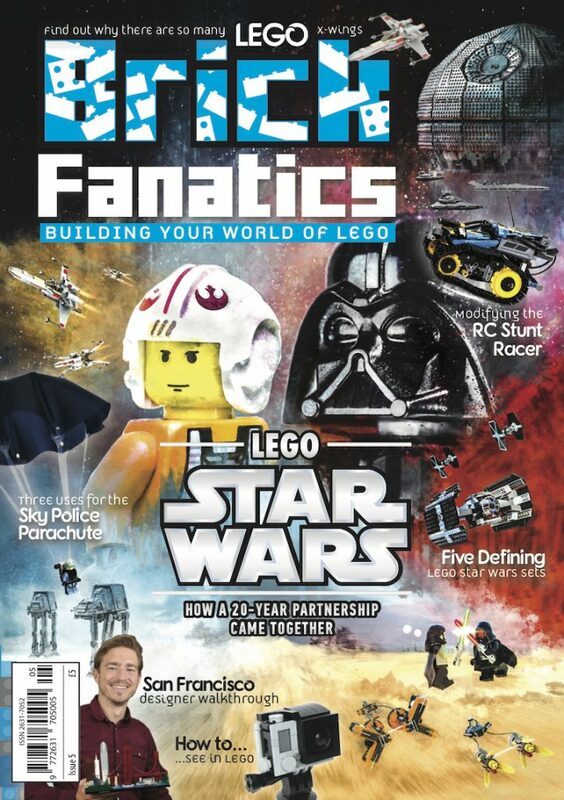 Brick Fanatics is picking out the best of the recent Darth Vader related LEGO Star Wars releases, following his journey from descent into evil to eventual redemption. “Rise, Lord Vader”, was Emperor Palpatine’s command to his newly armoured enforcer of the Empire at the end of Revenge of the Sith – although easily misremembered thanks to being inverted in one of the teaser trailers. Although relatively small in size, 75183 is a really fun set that captures all of the important details from that scene. It includes the creepy-looking medical droids that could be Force-flung into oblivion, and its clever mechanisms allow the medical table to be raised while lowering Vader’s helmet into place. The minifigures in the set are all stand-outs, particularly a severely injured Anakin Skywalker that used pearl-grey effectively to mimic his freshly attached metal limbs. Briefly glimpsed in Rogue One: A Star Wars Story, and its construction explained in recent Marvel comics, Vader’s personal stronghold was built above a Sith temple on Mustafar, where the Sith Lord fatefully dueled Obi Wan Kenobi. 75251 may reduce the castle’s scale but it is no less imposing with its sharp triangular shapes. Fun Easter eggs are hidden throughout, like a Sith holocron and Vader’s bacta tank. While the exterior is clearly meant for display, inside is minifigure scaled for endless role playing possibilities – after all, who can resist impersonating Vader? Darth Vader entered Star Wars: Rebels in Season 2 during the one-hour premiere episode, “The Siege of Lothal”, in which he really demonstrated his amazing flying skills. 75150 came with highly-detailed, sturdy models of both ships, that were perfect for re-enacting the spectacular dogfight from the end of that particular episode. 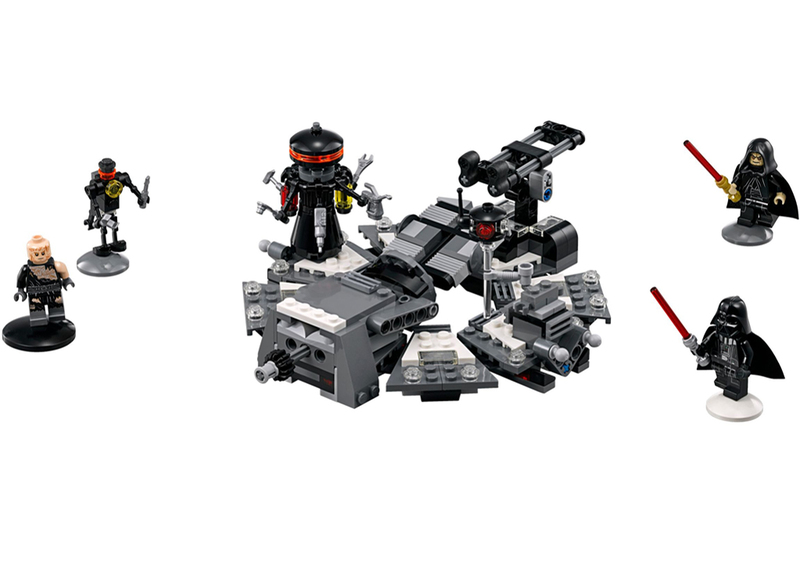 Vader’s minifigure included in 75150 remains the only one inspired by the more animated-proportions of the Sith Lord as he appeared in Rebels, with slightly fewer details on his life-support-pack and less of his armour visible. It is hard not to remember the sense of awe when first watching Star Wars: The Empire Strikes Back, when a shadow envelops not one, but three Star Destroyers, and then the Executor is revealed. The LEGO Group re-captured that wonder when 10221 was released in 2011. It is still to this day the only Super Star Destroyer in the LEGO Star Wars theme, as well as the only set to include a minifigure of Admiral Piett. Vader’s arrowhead-shaped flagship may be a gruelling build but it is the ultimate display-piece, and remains high on Star Wars collectors’ wish-lists. The climactic scenes from Star Wars: Return of the Jedi may inter cut between locations, but what transpires in the Emperor’s throne room aboard the Death Star II packs the biggest dramatic punch. This sequence has translated into one of the best location sets in the Star Wars range. Play-features that actually work are included to re-enact every moment of Luke Skywalker and Darth Vader’s duel – from the collapsing catwalk to the vital reactor shaft. If its fun features are not noteworthy enough, 75093 marks the first time that Vader’s helmet could be removed in two separate pieces, so the former Jedi could look upon minifigure Luke with his own printed eyes. 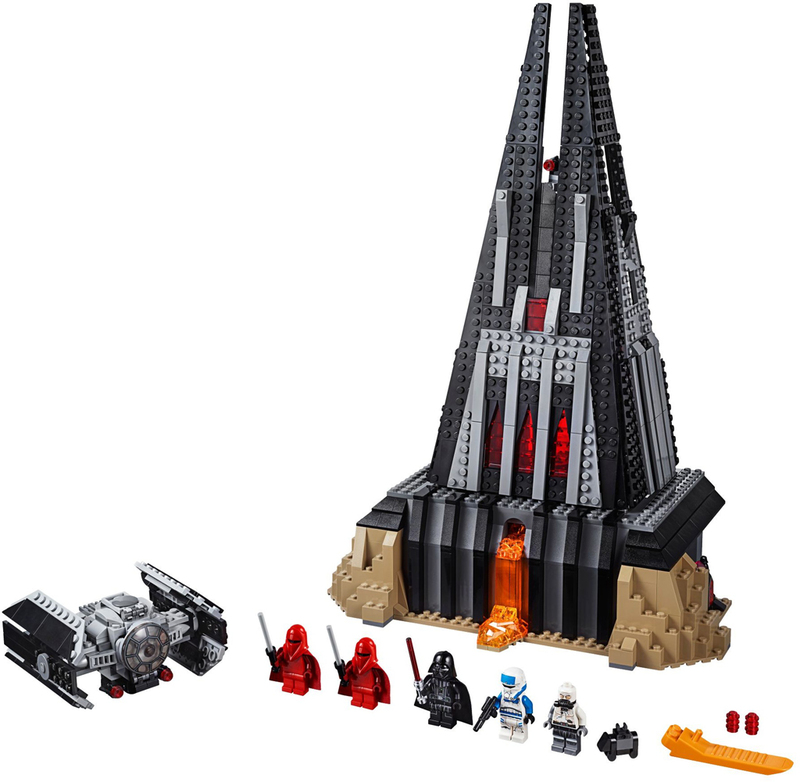 LEGO Star Wars 75251 Darth Vader’s Castle is available now at shop.LEGO.com.